Be there for your clients, from listing ...to move-in day. 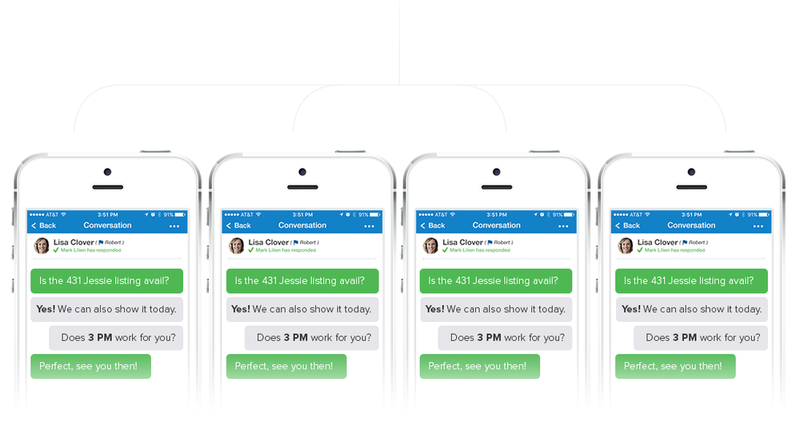 Chat with your clients as a team using Textline. Reach clients quickly, directly, and as a team. 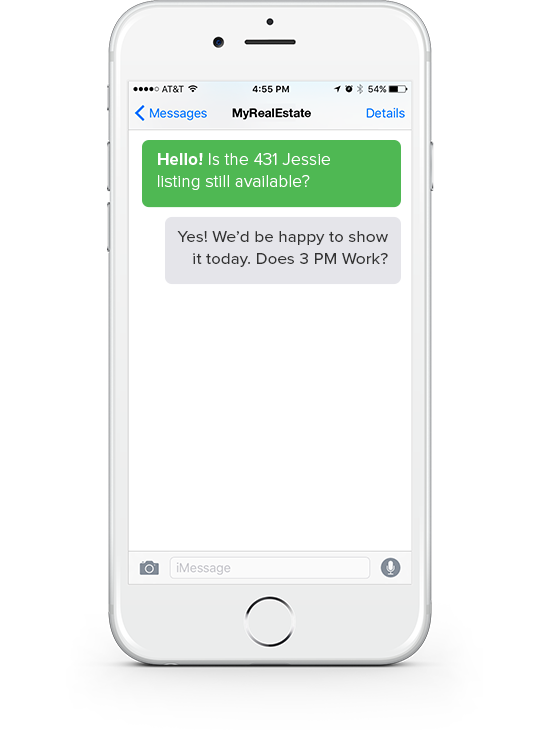 Use Texting for your Real Estate messaging. Deliver innovative customer service for your clients by responding to text messages as your real estate messaging. Whether it’s support when there is an issue or welcoming your clients when they are excited to inquire about a listing. All your connected agents get notifications / texts when a customer texts your Textline number. Active agents can follow the conversation and step in whenever necessary. Create custom shortcuts to speed up your real estate messaging workflow. Selecting a shortcut automatically injects your shortcut text allowing you to quickly answer repeat questions or reference important information. Conversations can be transferred/assigned to other team members that might be more specialized to handle particular real estate messages / requests. 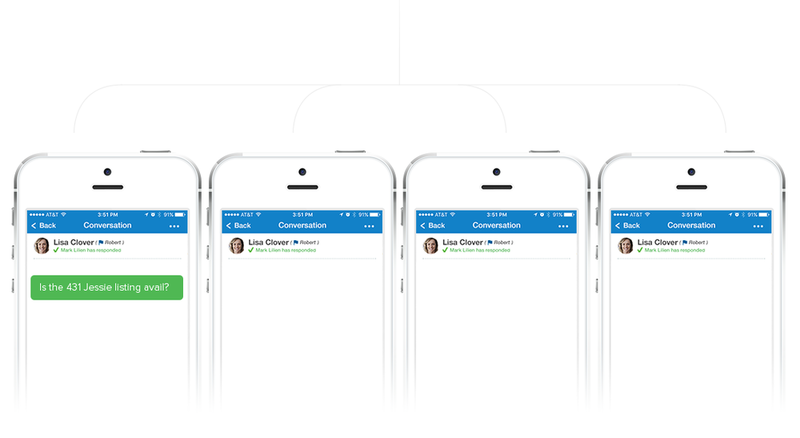 Textline allows for internal discussion within the chat flow for each customer conversation. Your team can discuss next steps on handling customers, or even offer internal feedback for customer support training. Stay connected with multiple devices. No new hardware or software needed!